This original Oil Painting is sold, but giclee canvas prints are available in various sizes. 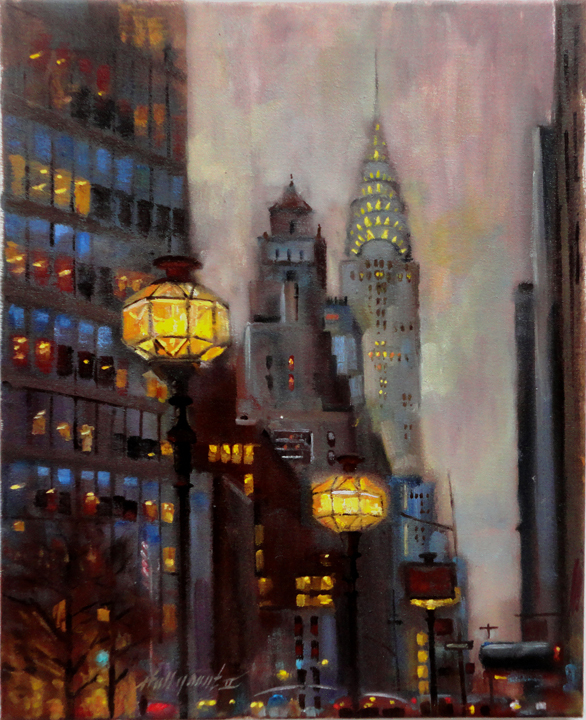 This original oil on canvas painting is a romantic view of the Chyrsler Building from Park Avenue in NYC. It’s painted in a realist style in umber, white, yellow, gold, violet, blue, gold, red, cream, and gray tones.